As our Mass Balance certified products were successfully established in the market, we were able to go one step further: Since 2016 we also offer products of the brands mentioned above as RSPO Segregated (SG) quality. 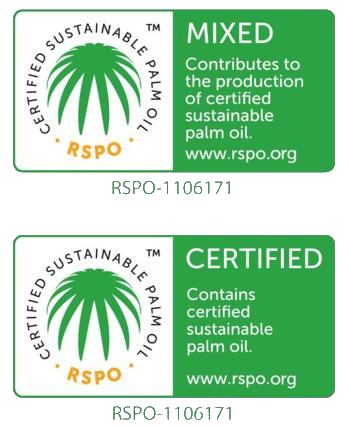 Our product finder gives an overview of our RSPO MB and SG certified products. If you are interested those products, please do not hesitate to contact our sales team.